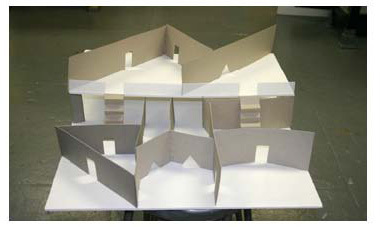 Assignment: The project will be to design, draw, and build models of your own personal retreat, refuge, shelter. The retreat is to be located in a natural environment, as opposed to a man-made environment. It can be located on the beach, in a forest, in an open field, in a desert, under the ocean, in a cliff etc. Models are to be built to scale (1/2"= 1' 0") are are to include scale figures.